How to improve gaming performance on laptop: Boost Your Gaming PC – GPU Overclock? The Internet is full of articles on accelerating the work of the laptop, but most of them affect only one component – the software one. In such materials you will be offered to clean the registry, configure the operating system and even to defragment the hard drive. I do not argue, these preventive measures will somewhat speed up the work of your laptop, but a truly effective solution is a timely upgrade of the system. You can dig into the Windows registry as much as you like, but if the computer game, for example, lacks RAM, then you can solve the problem in only one way – to add a laptop to this very memory. 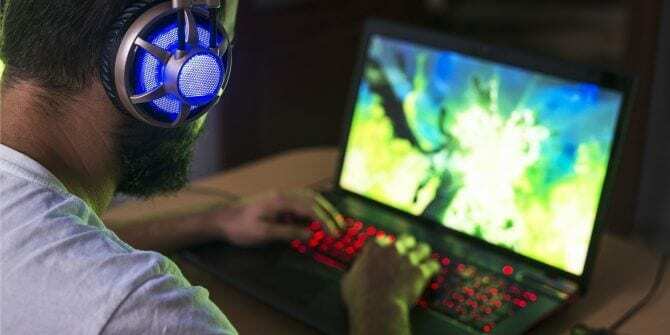 Therefore, in this article I will consider the most effective options for accelerating the operation of the laptop, the benefit of many gaming portable systems are still amenable to upgrade. The simplest and at the same time radical solution to the current problem will be the purchase of a new laptop. No, this is not an attempt to joke on a hot topic – sometimes there is no point in upgrading the device. For example, increasing the amount of RAM in a system with graphics level of the GeForce GTX 960M and below will not increase the performance in games. The fact is that the performance of this GPU is not enough to get a comfortable frame rate at high graphics quality settings. And on presets “Average quality” and “Low quality” is enough and 8 GB of RAM. Therefore, if you want to play modern games on high or even the maximum graphics settings, it’s easier (though much more expensive) to take a more modern model. Even more interesting is the case with laptops, which can not be retrofitted. Usually such type of devices include ultra-compact ultrabooks, laptops with removable keyboards and hybrid notebooks, the display of which can be rotated 360 degrees. In such devices, as a rule, RAM is already soldered on the motherboard. And if the amount of RAM is 8 GB, then this is forever. Therefore, for example, in the ultrabook Acer Swift 7 we can replace only two components: SSD format M.2 2242, connected via SATA 6 Gb / s interface, and a network controller of M.2 2230 format. How to improve gaming performance on laptop: Boost Your Gaming PC – GPU Overclock? Finally, there are models of laptops that may be upgraded, but without certain skills and special equipment this is not so easy. Here’s the new Microsoft Surface Book found almost completely non-repairable . Consequently, after a certain time it will turn into an intelligent “pumpkin”, no more. From all the above, we conclude: laptop upgrade is always a special case. With regard to gaming models, I recommend the following: if you want the computer to be relevant for as long as possible, then buy a laptop either with a full “mincemeat” or with the possibility of unimpeded upgrading of at least a disk subsystem and RAM. With the replacement of other components, everything is much more complicated. What can be improved in a laptop? In general, you can replace almost any component in a laptop. True, it is not always possible to do this at home. Not always an upgrade laptop is a cost-effective occupation, but often – useless and dangerous. Since the main theme of the article is a modernization to increase the performance of the device, we will consider the possibility of replacing only those components that affect the overall level of performance of the gaming laptop. On sale there are laptops with LGA-connectors. In such models, as a rule, conventional desktop CPUs are installed. In most cases, we are talking about high-performance solutions, since the same Core i7-7700 is certainly faster than the mobile Core i7-7700HQ. When you load all four cores in the desktop version, the clock speed is higher at 600 MHz (4.0 vs. 3.4 GHz), as well as more third-level caches: 8 vs. 6 MB. Only to change this processor there is no reason. Let’s say you have a model with a LGA-processor Core i7-6700. Sense to move from this chip, for example, to the Core i7-7700 is not: the increase in frequency is scanty, and the expenditure is enormous. In addition, we are still dealing with a laptop in which it is not possible to physically install more efficient cooling than a set of 2-4 heat pipes and a pair of tangential-type fans. Secondly, to switch from the Skylake generation processor to Kaby Lake, you need to update the BIOS version of the motherboard. In most cases, notebook manufacturers either do not provide new firmware for open access, or they do not add an updated CPU-list to the latest versions of the microcode. How to improve gaming performance on laptop: Boost Your Gaming PC – GPU Overclock? In fact, laptops with removable processors on sale are units. The vast majority of laptops come with soldered chips. Obviously, at home, to replace such a CPU is quite problematic. The same applies to the graphics subsystem. Even mobile versions of the GeForce GTX 1070 and GTX 1080 are in most cases decoupled on the PCB of the motherboard of the laptop. Therefore, their self-replacement is not possible without a complete analysis of the device, soldering station and the required template for reballing. In super-productive models, video cards can be made in the form of removable form factor cards MXM. However, the dismantling of such adapters is also not easy, as it will have to remove the entire cooling system, and sometimes it will be necessary to remove the motherboard as a whole. Suppose we have made all the complicated procedures for extracting equipment, but what’s next? Instead of GeForce GTX 1070, you can install GeForce GTX 1080, if this model of the laptop has a modification with such graphics accelerator. Otherwise, the motherboard will not detect a new GPU. This also applies to solutions based on NVIDIA Maxwell’s 900-series graphics. In general, replacing the CPU and video card in the laptop (provided it is generally physically possible) is a real lottery, and there is a very high probability that instead of a gaming laptop you will get a nice but useless brick. Yes, on the web you will find successful examples of upgrade of some models from EUROCOM, MSI and Alienware, but otherwise nothing good will come of this idea. So I would not face such difficulties for the sake of 10-15% of speed increase. And I do not advise you. Most manufacturers of gaming laptops allow users to independently change RAM and drives, which also affect the performance of the device. I will take up the upgrade of these components further. As a rule, modern laptops install 8, 16 or 32 GB of RAM, although it does not do without exceptions. For example, in the already mentioned model MSI GT73VR 7RE Titan SLI it is possible to install a set of 64 GB, because the motherboard of this laptop is equipped with four SO-DIMM ports. In most cases, the laptop has two slots for installing RAM. Therefore, for models with generations of processors Skylake and Kaby Lake, the maximum capacity is 32 GB DDR4. For laptops based on Haswell chips – 16 GB. In some cheap laptops there is only one SO-DIMM connector. There are models in which both SO-DIMM slots are present, and a certain amount of RAM is already decoupled on the motherboard. All modern computer games have enough 16 GB of RAM, but there have already been a decent number of projects that consume more than 8 GB of RAM with high graphics quality settings. Therefore, a laptop with 8 GB of DDR3- or DDR4-memory would do well to “increase” the volume by half. Or at least add another 4 GB of RAM. For laptops with processors Kaby Lake – DDR4-2400T memory with delays 17-17-17-39. For laptops with Skylake processors , DDR4-2133T memory with delays of 15-15-15-36. For laptops with Haswell processors – DDR3L-1600 memory with 11-11-11-28 delays. For laptops with processors Ivy Bridge – DDR3-1333 memory with delays of 9-9-9-24. For laptops with Sandy Bridge processors – DDR3-1333 memory with delays of 9-9-9-24. For laptops with AMD A9 / A10 / A12 processors, DDR4-2133T memory with delays of 15-15-15-36. Gaming laptops in most cases are based on Intel CPUs, models with productive discrete graphics, based on AMD chips, a minority. Perhaps with the advent of mobile versions of Ryzen, the situation will change. Data on the characteristics of the memory modules are recorded in their SPD (Serial Presence Detect). As a rule, the RAM chip has several predefined operating modes. And if you install a set of DDR4-2400T with 17-17-17-39 timings on a laptop with a Skylake processor, then it will work at an effective frequency of 2133 MHz (DDR4-2133T) with delays of 15-15-15-36. To write this article, I used a two-channel set of SO-DIMM-memory Kingston KVR21S15S8 / 8 , each module of which operates at an effective frequency of 2133 MHz with latency CL15. Many modern gambling, starting with the Intel Haswell generation, are equipped with two types of ports for connecting drives: traditional SATA 6 Gb / s and progressive M.2. In a number of cases, there may be several interfaces. As for the first type of connectors, it connects to hard drives and SSD form factor 2.5 inches. The only limitation when installing such a storage device is its maximum thickness. So, some laptops do not support the installation of drives that are thicker than 7 mm. Otherwise, you will not have any problems. In many laptops 2.5-inch memory is fixed with a special slide. Some laptops still use absolutely useless optical drives. Instead, you can install another 2.5-inch drive. Only this requires a special adapter, which you can purchase, for example, on AliExpress. How to improve gaming performance on laptop: Boost Your Gaming PC – GPU Overclock? With the M.2 connector it’s harder. In most cases, the gaming laptop will have a slot for a 2280 (where “22” is the width of the printed circuit board in millimeters, and “80” is the length). However, options are possible with the installation of SSDs of 42, 60, 80 and even 110 mm in length. Therefore, before buying an M.2-drive, make sure the size of the hard drive is needed. And the M.2 form factor means two types of keys – “B” (Socket 2 for two lines of PCI Express) and “M” (Socket 3 for four lines of PCI Express), but in modern gaming laptops for processors Skylake and Kaby Lake uses only the second option, to which the SSD approaches both with a SATA 6 Gb / s interface (there are both key-cuts on such SSDs), and with PCI Express. Again, before buying, find out exactly which interface supports the motherboard of your laptop: M.2 SATA, M.2 PCI Express, or both. For this article, I used a solid-state drive Kingston SM2280S3G2 / 480G with a nominal capacity of 480 GB. This SSD just has both key-cuts, therefore, it works in SATA mode of 6 Gb / s.
Depending on the specific model of the laptop, you can get to the necessary iron in three ways. The simplest way to replace drives and RAM is in models with removable hatches. To gain access to the corresponding slots, you need to unscrew one or two screws (usually a cross-shaped groove for a screwdriver with a slot of small diameter, less often – a torx), and then remove the cover. All that remains is to install pre-purchased RAM modules and SSD / HDD. The second option involves dismantling the bottom of the laptop entirely. For this article, I used a 15.6-inch ASUS ROG Strix GL553VE laptop . To get to its components, you need to unscrew ten screws, one of which is hidden under a rubber stopper. Note that the laptop can be sealed. And if during the upgrade you break the integrity of the seal, the device will lose free warranty support. As a rule, removable hatches do not seal, but on one of the screws on the bottom can be glued warranty “charm”. If the warranty for the device (usually 24 months) is still relevant, then you act at your own peril and risk. The third way to get to the necessary interfaces is the most complex, and it consists in removing the pad with the keyboard. It is necessary not only to unscrew a few screws on the bottom, but also to carefully disconnect the keyboard and the base, without damaging the case of the device. Also need to disconnect from the motherboard loops responsible for the operation of the keys, touchpad and backlight (if any). By the way, sometimes it is better to purchase a laptop of the minimum configuration and immediately “stuff” it with the necessary memory. For example, the initial configuration of ASUS ROG Strix GL553VE with a Core i7-7700HQ processor, 8 GB DDR4-2400, 1 TB HDD and GeForce GTX 1050 Ti 4 GB costs an average of 79,000 rubles. A version with the same hardware, but with 12 GB of RAM and 128 GB of SSD (SATA 6 Gb / s) – 92,000 rubles. However, for this amount we can independently improve the initial configuration of the ASUS ROG Strix GL553VE with an additional 8 GB of RAM (+4 000 rubles) and a solid-state drive for 250 GB (NVMe, PCI Express x4 3.0, +9,000 rubles). Agree, this version of the laptop looks much more interesting. Another unique variant of laptop upgrade is the optimization of the operation of its cooling system. Of course, the cooler of the device should be kept clean, and periodically change the thermal paste. Practice shows that even in expensive solutions a heat-conducting interface of mediocre quality is used. In the reviews, I often draw the attention of readers to the fact that in the case of laptops (and with compact models – so much so) much depends on the cooling efficiency. Therefore, not always the most productive “on paper” processor is faster in real applications. Here everything depends on the specific model of the laptop. If the cooler can not cope with cooling the CPU and GPU, throttling is activated. As a result, the drop in clock speeds of the processor and mobile graphics affects the performance in applications. Getting to the chips is not always easy. For example, in the laptop Dell Inspiron 7567 cooling system, consisting of two fans and copper heat pipes, hides behind the metal frame, and for the replacement of thermal paste will have to disassemble the device almost completely. In the ASUS ROG Strix GL553VE, on the contrary, it’s easy to remove a cooler. To do this, all you need to unscrew the four screws that hold the heatpipes to the CPU and GPU. This laptop uses Core i7-7700HQ and GeForce GTX 1050 Ti with TDP 45 and 75 W respectively. In my opinion, such a system (two heat pipes and one fan) is clearly not enough to effectively cool the processor and graphics. Therefore, it is not necessary to be surprised at the appearance of trotting with a heavy load. In the LinX 0.7.0 program, which loads the CPU very much, the Core i7-7700HQ frequency is kept at 2.8 GHz, but periodically one chip core resets the frequency to 800 MHz. We see that, firstly, Turbo Boost mode is not activated, as with more efficient cooling, the frequency of this processor when loading all four cores should be 3.4 GHz. Secondly, there is throttling. Simultaneously, the temperature of the Core i7-7700HQ rose to 88 degrees Celsius. Instead of thermal paste, I decided to apply a couple of gaskets Coollaboratory Liquid MetalPad – a thermoplastic, which is 100% composed of metal and melts at a temperature of 58-60 degrees Celsius. In the solid state, they resemble foil and are well cut with scissors. As a result of using such an interface, I managed to get rid of serious drawdowns – in the same LinX 0.7.0, the processor frequency kept in the range 3.0-3.4 GHz without any hint of frequency reset to 800 MHz. The maximum temperature of the Core i7-7700HQ reached 84 degrees Celsius. Therefore, I can expect that ASUS ROG Strix GL553VE will work faster, including in resource-intensive tasks, such as video conversion and graphics processing. A similar situation is observed in games. With the use of Coollaboratory Liquid MetalPad, CPU and GPU temperatures fell noticeably, but the frequencies (and with them also the speed) increased. However, in this you will see for yourself further. To write the article I got the ASUS ROG Strix GL553VE initial configuration, that is, the model with the processor Core i7-7700HQ, mobile graphics GeForce GTX 1050 Ti, 8 GB DDR4-2400 and hard disk Seagate ST1000LM035 1 TB. As I said before, I upgraded this laptop myself by adding a Kingston KVR21S15S8 / 8 RAM and a Kingston SM2280S3G2 / 480G solid-state drive to the system, and replacing the standard thermal paste with Coollaboratory Liquid MetalPad plates. WinRAR 5.40. Archiving a folder of 11 GB with different data in RAR5 format and with the maximum compression ratio. x265 HD Benchmark. Testing the speed of video transcoding to the perspective format H.265 / HEVC. CINEBENCH R15. Measuring the speed of photorealistic 3D rendering in the animation package CINEMA 4D. Adobe Photoshop Lightroom 6.9. Performance testing when exporting 200 photos of RAW format with a resolution of 5184 × 3456 pixels to JPEG format with a resolution of 1620 × 1080 and maximum quality. Adobe After Effects CC 2017. Rendering of the project in the format 1920 × 1080 @ 60 FPS. Corona 1.3. Test the rendering speed by building a standard BTR scene used to measure performance. To test the laptop in games, several presets of graphics quality settings were applied. This is done in order to level out the FPS drawdown, due to the lack of graphics processor performance. Performance was determined using the well-known FRAPS program. It allows you to get the rendering time of each frame. Then, using the FRAFS Bench Viewer utility, not only the average FPS, but also the “1% min” (99th percentile) was calculated – the FPS number, which is below the measured value with a probability of 99%. The use of the 99th percentile instead of the minimum frame rate per second is due to the desire to clear the results from random bursts of performance that were caused not by the causes directly related to the operation of the main components of the laptop. During the testing, in addition to the games themselves, the following programs were launched: Steam, Origin, Uplay, Windows Defender, FRAPS and MSI Afterburner. The speed of some tasks depends not only on the performance of the CPU and RAM. On the final result in such processes as data archiving, photo processing and video conversion, the speed of the drive used in the system also influences. Obviously, when using SSD, all these operations will be performed much faster. The laptop upgrade provided a tangible performance boost in WinRAR, Lightroom and After Effects applications – archiving, processing and rendering tasks started to be performed much faster. From the entire list of test programs only in the CINEBENCH R15 there is absolutely no benefit from upgrading the ASUS ROG Strix GL553VE. Yes, for greater clarity, I could use a faster (and more expensive) NVMe version connected to the PCI Express x4 3.0 interface instead of the Kingston SM2280S3G2 / 480G SATA drive, but even with the “traditional” SSD, there is a noticeable difference in the The performance on the background of the usual 2.5-inch hard drive. Benchmarks are, of course, good, but much more pleasant is the feeling that the operating system and favorite games are loaded much faster. For the sake of justice, I note that the volume of Kingston SM2280S3G2 / 480G is not enough to install Windows 10 and all the games listed in the methodology. The realities are such that AAA-class projects “weigh” sometimes 50-60 GB. And something tells me that these are only flowers. Consider how the upgrade of the ASUS ROG Strix GL553VE affected its performance in games. In the graphical benchmark 3DMark Time Spy the system after the replacement of RAM, SSD and thermal paste became faster by 3%. On the one hand, I received a small increase in performance. However, in games, not only the high average FPS is important, but also the overall smoothness of the picture (the absence of lags visible to the eyes). Here begins the most interesting. Mobile graphics GeForce GTX 1050 Ti 4 GB, as the tests show, is quite enough for modern games. I agree that not all resource-intensive projects produce comfortable FPS with maximum graphics quality settings, but in “Very High” and “High” modes it’s very comfortable to play in Full HD resolution with such a video subsystem. Nevertheless, a small experiment showed that many modern games with higher graphics quality settings require more than 4 GB of video memory. Its lack leads to the fact that all the data that is not fit will be written to the system memory cells of the laptop. And even with a lack of RAM will be used swap file – it is used to store pages of virtual memory. Using a Swap file on the hard disk will result in noticeable FPS drawdowns. The game will be uncomfortable, although the average number of frames per second, shown in a particular game, can be quite acceptable. Already a detailed experiment this topic showed that while all modern games have 16 GB of RAM. Therefore, the expansion of the amount of RAM on the laptop will allow us, at the start of resource-intensive projects, not to use the swap file on high graphics quality settings. And this, in turn, will reduce the number of subsidence of the instant FPS or it will save the system from lags at all. For a graphic illustration of my words, I took five games that consume at high graphics quality settings more than 4 GB of video memory and more than 8 GB of RAM. What do we see? For example, in GTA V, the ASUS ROG Strix GL553VE configuration with 8 GB DDR4-2400 gives a quite comfortable frame rate. However, it is impossible not to notice (including visually) every now and again the emerging drawdowns. You can play in such conditions, but it’s uncomfortable. A similar picture is observed in Deus Ex: Mankind Divided, HITMAN and Rise of the Tomb Raider. Adding another 8 GB fixes this situation. Still nice when the theory is consistent with practice. Replacement of thermal paste, by the way, also slightly increased the average FPS in games. There are things that you get very attached to, and your favorite laptop is quite suitable for this definition. However, sooner or later the moment comes when the body, keyboard and screen of the device seem to suit you, but the level of performance begins to be catastrophically lacking. There is no desire (or possibility) to buy a new “device”, so an independent upgrade may come up as an alternative. We were convinced that, unfortunately, not all laptops are easily and simply upgraded. The replacement of the processor and video card is available in a few cases, so the user (and not always) can install more RAM and replace the drive. Installing a solid state drive will help even a very old laptop. In comparison with a conventional hard drive, it’s really possible to get a performance gain in tasks related to archiving, photo processing and video rendering. The most pleasant thing in working with SSD is the fast loading of the operating system and games. As the testing showed, the installation of RAM will not be superfluous either. Game systems, whose graphics chips “pull” modern resource-intensive games at high graphics quality settings, the presence of 16 GB of RAM is definitely not a hindrance. This is the optimal volume for a gaming laptop in 2017. Owners of less productive devices will be quite enough and 8 GB of RAM. Finally, it was absolutely superfluous to replace the thermal paste from ASUS ROG Strix GL553VE. The laptop stopped trottle, and its performance increased. Consequently, the works on partial disassembly of the device were not vain. Looking to improve gaming performance on your laptop? Here are 10 easy tips you can try right now to make sure your laptop has no problem running the games you want to play. Uninstall Crapware. Limit Startup Processes. Clean Up Your Disk. Add More RAM. Install an SSD Startup Drive. Check for Viruses and Spyware. Change Power Settings to Maximum Performance. Upgrade your Graphics Drivers for an immediate FPS boost. Supercharge Your Graphics Card: A Slight Overclock Doesn't Hurt! Boost Your FPS with AVG PC TuneUp's “Uninstaller” and “Program Deactivator” Upgrade Your Graphics Card [Desktop only] Upgrade to an SSD. Disable SuperFetch and Prefetch. Defrag or TRIM Your Disk. 2 What can be improved in a laptop?